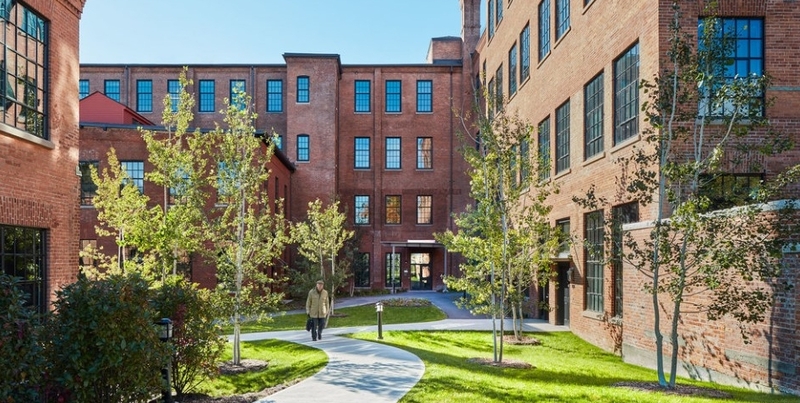 This ground-breaking project has revitalized three historic mill buildings on a nine-acre site in Williamstown MA, transforming these abandoned industrial buildings into a quintessentially vibrant New England community. The Lofts is comprised of 61 new apartment homes for rent -- a dramatic transformation from its past as a factory making wire and cable dating back to the post Civil War era. A variety of other home types – flats, townhomes and single-family style duplexes (The River Houses) – are being created through both the adaptive re-use of the historic mill buildings and thoughtfully planned and designed new construction homes. Nestled among the purple mountains along the banks of the Green River, nearby to Adams and North Adams, Cable Mills is classic Berkshire luxury.